Does your life feel like it’s in a holding pattern? Perhaps you’re wondering if you’ll ever reach the destination you desire? Does success seem to be just out of reach? If you’re tired of waiting for your turn to experience the life you want, than you’re finally ready to claim success on your terms… your way. Step One: Claim your book on Amazon. Click the button below. Step Two: Claim your FREE Success Kit. 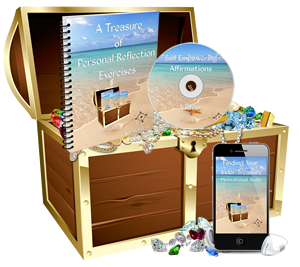 *Using the tools in your Free Unstoppable Success Kit (affirmation video, audio and Anchor ME™ playbook to replace limiting beliefs) for five minutes a day will easily transform your old limiting thoughts to ones that empower you to "play it big". Quit settling for less than you deserve. What are you waiting for…Just imagine sailing… the wind at your back into the life you’re were born to live. Sometimes life deals you a hand that’s disappointing and you think, "This is not how I envisioned my life." But there’s part of you deep down that knows you want something more. This book is about unleashing your power with grace. It’s about finding yourself, all of you. And loving every particle. It’s a must read if you want to enjoy the heck out of the rest of your life! 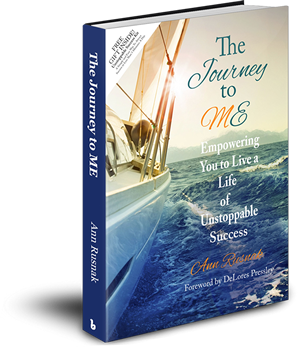 Touching, empowering, and uplifting are the words I would use to describe The Journey to ME. Many of my clients who are facing a divorce echo the fears that Marie expresses on her journey. This story not only taps into those all-too-common fears, it also gives the reader the tools to quiet the mind and find her inner guide." A refreshing, fun read of the process one goes through to release and move on to greatness. 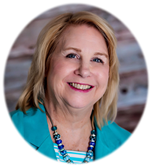 Ann combines her 25 years of business experience and self-discovery journey to embolden women entrepreneurs feeling stuck in old patterns to move forward to get more done in less time, receive unexpected money, attract more ideal clients and high paying offers, remove the inner and outer chaos allowing they believe their goals can and do happen. They feel more relaxed, refreshed, energized and full of inspiration trusting their inner guidance so they can create an enjoyable 5-star lifestyle while growing their business at the same time.